The Applianceman Service proudly features Marvel refigerators. Marvel was founded in 1932 and began their production of appliances by creating undercounter iceboxes. 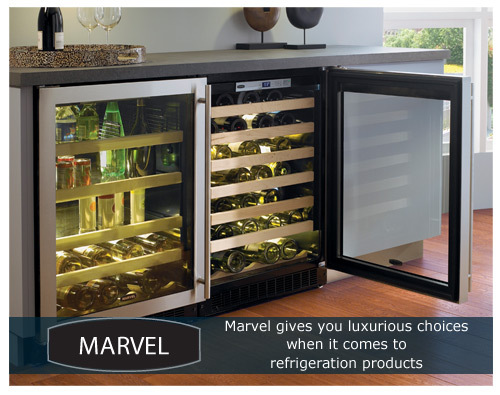 Marvel is now a premium, trusted refrigeration manufacturer. 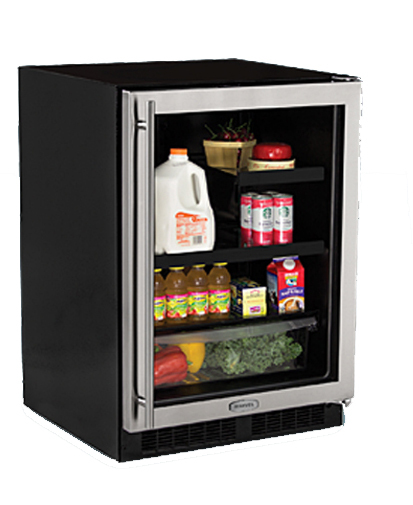 Marvel is a full-size integrated refrigeration solutions are never mass produced, made just for you with years of experience, craftsmanship, and the highest quality components. The Applianceman Service understands that our customers have busy schedules. This is why we go out of our way to work around your agenda. We appreciate your time. All of our technicians are trained to repair any and all Marvel home appliances in order to keep up with highly demanding standards. You are guaranteed white-glove service for all Marvel product repairs. We strive to maintain the highest levels of diagnostics repair, product maintenance, and customer relations. We cannot stress enough how important it is to us to keep your home appliances in working order and maintained appropriately. We here at The Applianceman Service encourage you to call us with your appliances wants, needs and dreams. We immensely value our customer bond. Allow our skilled technicians to repair, service or maintenance of your Marvel appliance products today. The Applianceman Service is prepared to support Marvel and its product dependability.